Located in Perry, GA, Crossroads Family Eyecare brings a personal and compassionate touch to your health. See us today for all of your optometry needs. Call 478-224-1414 to schedule an appointment. Welcome to Crossroads Family Eyecare in Perry. 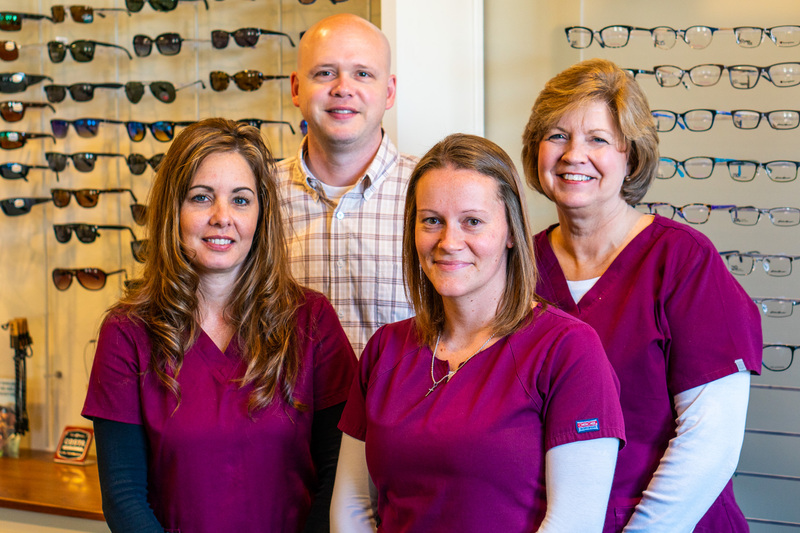 Dr. Paul Smith and the Crossroads Family Eyecare team will provide the finest in Optometric services. We invite you to browse our website to learn more about our services, and invite you to join our patient family by scheduling an eye exam appointment at our Perry office. We provide complete care for our patients. Whether you just need to update your glasses or contacts prescription, or need eye surgery, we can handle your need. Find out more about the services we provide. We're right here, in downtown Perry, GA offering the best care for you and your family. Dr. Paul Smith has been treating patients in the Middle Georgia area for 15 years and he's thrilled to be able to care for you in his own practice. Learn more about our practice. Download PDF forms so you can fill them out and be ready when you arrive. Crossroads Family Eyecare is a full service eye and vision care provider and will take both eye emergencies as well as scheduled appointments. Patients throughout the Perry area come to us because they know they will receive the personal attention and professional care that is our foundation. Dr. Smith and our team are dedicated to keeping our patients comfortable and well-informed at all times. Our one-on-one approach to Optometry makes Dr. Paul Smith and our entire staff the eye and vision care providers of choice in the Perry area. We offer the following services: complete eye exams, contact lenses, glasses, glaucoma testing and treatment, and pre- and post-operative care for surgeries.